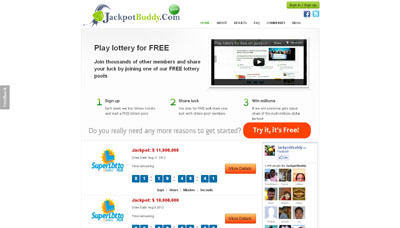 Jackpotbuddy is a online platform to play lottery for free. Each week it opens lottery pools which it’s members can join for free from anywhere in the world. If one of the lottery tickets win the jackpot then amount is equally distributed among its users.